An MBA after marriage! A decision to be away from your spouse and family for 2 years! Challenges were over weighing but so was the conviction. Destiny had its plans in sync with mine. A dream blended with aspiration, ambition and action landed me to the place I always wanted to be- the IIM. And Shillong added a silver lining to it. IIM Shillong- my home away from home. It has given me more than I could have thought of- love, affection, friends, respect, prestige and I shall not forget to mention, the much coveted Aditya Birla Scholarship. The first step towards this achievement started while I was completely immersed in the hectic life characteristic of any B-school, the case studies, the surprise quizzes, the mid-sems, the brainstorming group discussions, late night submissions and what not. It was a mail from the PGP office congratulating me for getting shortlisted to make it to the top 31 out of 159 students from across the top notch B-schools of India. And there it was-“Mumbai Calling!” Thus started the preparations – travel plan, packing and countless suggestions from my crazy bunch of friends as to what dress to wear, which sandals, earrings and nail paint to complement the dress and most importantly my unending preparation for the interview. I left for Mumbai on 19th Sept with lots of wishes, blessings and good luck by my side. One thing was clear to me that everybody had lots of expectations and it was my time to fulfill them at any cost. I made a promise to myself at that time, come whatever, I am winning. With that promise I flew to Mumbai. Mumbai, the city which tickled me with its drizzles and showers for 2 years, the city which reciprocated my love, the city with a fusion of most varied flavours, the city with the seashores offering instant relief , the city famous for the six sigma dabbawalas , the city with local trains as its life-line, yes, the city which has it all. I felt nostalgic as soon as I landed. Memories flashed and tears virtually trickled down my cheeks. But soon the realization dawned that I am in the city which gave me the wings to fly and the fire to excel. With this realization I checked in at the ITC Grand Hotel in Lower Parel. The majestic hotel depicting the British colonial architecture manifested its hospitality in form of warm gestures from the staff. The tastefully adorned interiors, the well manicured lawns, the bubbling fountains seemed to fill the hotel with a fabled grandeur. I unpacked and got ready for the induction program. As soon as I entered the hall, I could feel the difference. Brilliant young minds of the nation from management, engineering and law streams with confidence oozing out seemed to fill the hall with a blissful positive energy. I took my seat and soon the presentation started which was to give an insight into the Aditya Birla Group and more importantly into the motive of the scholarship which is to nurture the future leaders. The presentation was followed by dinner where everybody got a chance to interact and network. Conversations and interactions ultimately came to an end as everybody moved to their respective rooms to gear up for the interviews next day. Finally, the day had arrived, the 21st Sept, 2013. Interviews were scheduled from 9 a.m. in the morning. I was waiting for my turn. The nervous excitement that I had been feeling for so many days was stronger than ever and I felt that the only release for the butterflies restlessly flitting around in my stomach would be to face the interviewers. And then there I was- in front of the panel. The panel had Ms. Sunita Narain( Director General, Centre for Science and Environment (CSE)), Mr. Janmejaya Sinha( Chairman – Asia Pacific, Boston Consulting Group ) and Ms. Vineeta Rai( IAS, Member, National Consumer Disputes Redressal Commission). I greeted them and the interview started with a light discussion on the need to wear formals during an interview. Soon after my opinion was asked on various current issues pertaining to Shillong, telecom industry, rural healthcare in India, policy flipflops etc. The interview ended on a positive note. The results were to be declared in the evening. The wait just seemed too long. But finally the moment arrived. The hall was fully packed with eminent personalities from the ABG group, the panel members of all the 3 streams which included the likes of Justice M. N. Venkatachaliah, (Retd. Chief Justice Supreme Court) , Mr. Kiran Karnik, Ex-President, NASSCOM, Prof. Samir K. Brahmachari, Director General, Council of Scientific and Industrial Research, Mr. Sri Rajan, Country Head & Managing Director, Bain & Company India Pvt. Ltd. and many more. Applauds had already begun with the selected scholar names being announced one after the other. And then suddenly I realized that the applauds were for me- yes it was Apurva Jain from IIM Shillong. And the next instant I found myself in front of Mrs Rajashree Birla, receiving the Aditya Birla Scholarship Award. It took me a while to get reconciled to the fact that I had done it. Calls and messages followed, flooded with “Congratulations” and “Thank You”. I was content to live up to the expectations of everyone. I reached Shillong the next day. I knew there would be celebrations. Balloons and colorful ribbons made my room lively as ever and the chocolate truffle cake (my favorite) tasted sweeter than ever. 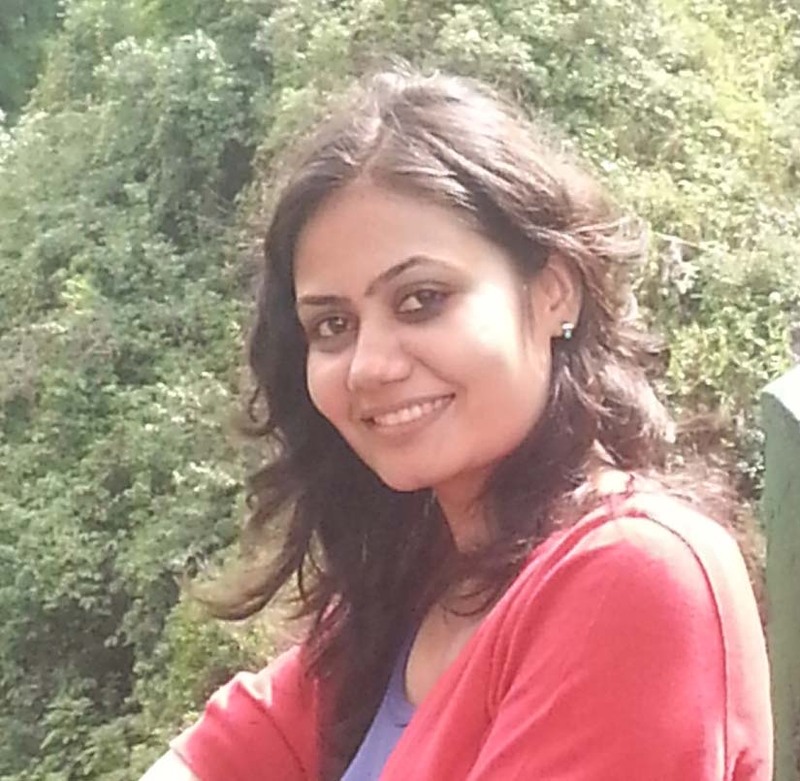 About the writer : Apurva Jain is a first year participant at IIM Shillong. She likes reading novels and exploring places.